Beauty Q&A: How To Get Perfect Skin In Time For V-Day! Planning a visit to a beauty clinic to look flawless and radiant for your date? Read our Q&A first to know what to expect and ask for. Picture this: You've prepped your flirtiest outfit, bought a new pair of sky-high heels, tested your new cosmetics, and decided on a romantic hairstyle...but, to your dismay, you wake up on V-Day with a big, obvious zit on your face. Not quite the look you were going for, right? Preempt skin emergencies like this by getting professional skin treatments that will prevent unwanted surprises on the big day. You may want to check out Aesthetic Science, a cosmetic dermatology and plastic surgery center that offers face and body treatments administered and supervised by doctors and health professionals. Headed by Dr. Yanee Vasquez-Santos, the clinic boasts of high-end services at affordable prices that working gals can enjoy. The clinic adapts the "medical spa" concept, which combines the scientifically-proven results of medicine with the relaxing ambiance of a spa. The clinic also offers tie-ups with yoga studios, Reiki healing with life coaching, acupuncture, and digestive cleansing and detoxification for healing of the mind and spirit. To arm you with the right info before your visit to a beauty clinic, we got the lowdown on your frequently asked questions from Dr. Vasquez-Santos. Q: How will I know which facial service is right for me? Make sure the beauty clinic has in-house doctors you can consult, and who will assess your particular skin issues and discuss with you what treatment is best for you. Q: What basic facial treatment is good for my skin type? 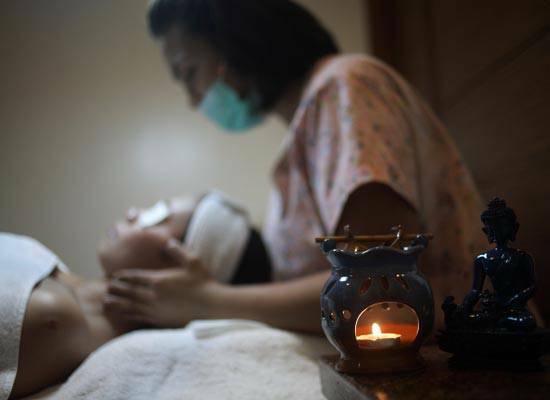 If you want a standard treatment, Dr. Vasquez-Santos suggests getting a Classic Facial (P980), a 90-minute service that exfoliates and hydrates, clears pores, and nourishes the skin. If you have oily, acne-prone, or blemished skin that needs extra care, try the Glycolic Acid Cleaning (P680), a 45-minute session that unclogs pores for easier extraction of blackheads, whiteheads, and pimples. It also helps to control the oil production of your skin, so you won't be shining unflatteringly during your date. Q: How can I dramatically improve dull or blemished skin? According to Dr. Vasquez-Santos, a popular and effective treatment that will give you a brighter and more radiant complexion is a skin peel. "Peels soften and smoothen your face by removing dead skin cells and stimulating the formation of new and healthier skin underneath. They are recommended for those who have blemishes, visible signs of aging, and damages from sun exposure and environmental pollutants," she says. Q: Which skin peel is best for busy gals like me who want fast results with little or no downtime? 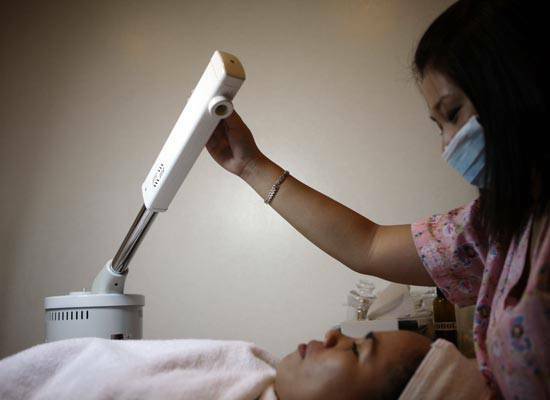 Dr. Vasquez-Santos suggests getting a Diamond Peel (P1,200 alone; P1,580 when packaged with Glycolic Acid Cleaning), a non-chemical exfoliation that treats aged and sun-damaged skin, as well as acne scars and stretch marks. It uses a vacuum-like wand to slough off old skin and give you an instantly smoother (if slightly flushed) face. If you're battling oil and blemishes, the TCA Peel (P280 for 10%; P330 for 20%) is your bet. It uses mild Trichloroacetic Acid in either 10% or 20% concentrations, depending on your skin needs. The stinging sensation of the procedure is worth the results: refined skin that is noticeably smoother and lighter. The whole peeling process takes around three to five days, but it is not very obvious (while you won't have to worry about your skin looking ugly on the day of your date, make sure you do this treatment at least a week prior). Dr. Vasquez-Santos warns that this will make you more sensitive to sunlight, so be sure to pile on sunblock! Q: What can I do to maintain the results post-treatment? You should ideally get a facial weekly or every two weeks to maintain the results, and multiple skin peel sessions are advised. You can also avail of topical medicines prescribed by the doctors at the clinic so you can continue the professional skincare routine at home. Valentine Promo Alert: This month is the perfect time to enhance your skin, as Aesthetic Science is offering a special deal for couples and pairs. From February 1 to 29, 2012, you and a companion can each get a free TCA Peel when you both avail of a cleaning or facial treatment. Go to the next page to see the list of facial services and other cosmetic procedures offered at the clinic! Makati clinic: G/F Jupiter Place Bldg., Jupiter St., Bel-Air, Makati City. Office hours are 10AM-8PM from Monday to Saturday, and 1PM-7PM on Sunday. Call 899-3643 or (0917)808-2926 to set an appointment. Alabang clinic: G/F Kennedy Center Building, Prime St. cor. Venture St., Madrigal Business Park, Ayala Alabang, Muntinlupa City. Office hours are 10AM-7PM from Monday to Saturday, and 12PM-6PM on Sunday. Call 809-8021 or (0917)808-2921 to set an appointment.